The smell of barbecue and the sounds of cultural drumbeats fill the air. Artisans proudly display handcrafted tools, carvings and jewelry while cultural dancers are on stage performing traditional dances passed down from the ancients. Welcome to the Guam Micronesia Island Fair. The Guam Micronesia Island Fair (GMIF) is an annual three-day celebration of cultural diversity in Micronesia and the Western Pacific region. 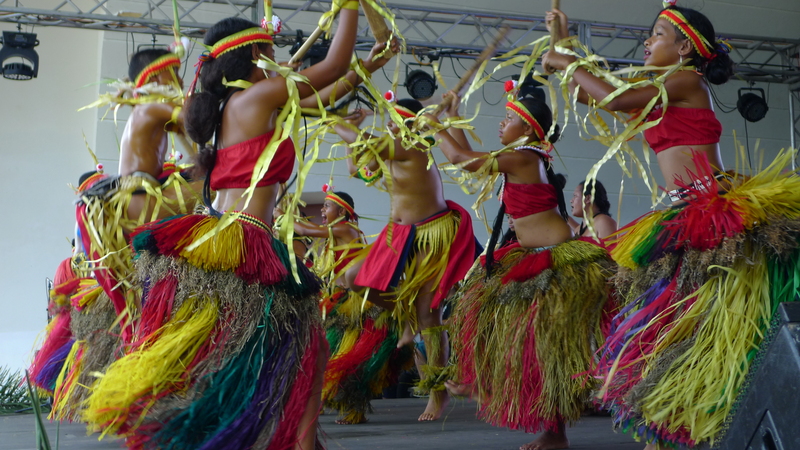 For over 28 years, GMIF has been a meeting point for islanders from different nations to come together and celebrate art, performance and traditions that are culturally unique to their islands. 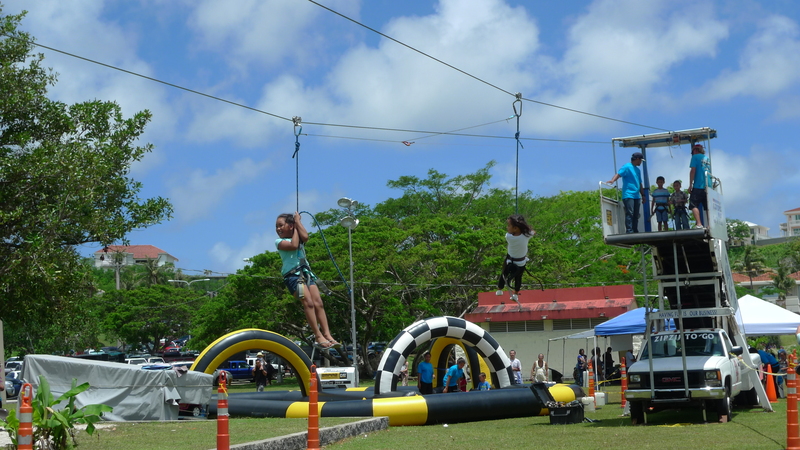 The 28th Guam Micronesia Island Fair, held over the weekend of June 12-14, brought together visiting delegations from Palau, Yap, Pohnpei, Kosrae and the Marshall Islands. For visitors to Guam, GMIF is a fantastic way to see and experience all of the exciting aspects of Chamorro culture from traditional woodcarving, weaving, cultural dance and chanting to contemporary painting, handmade jewelry, local fashion, live music and more. 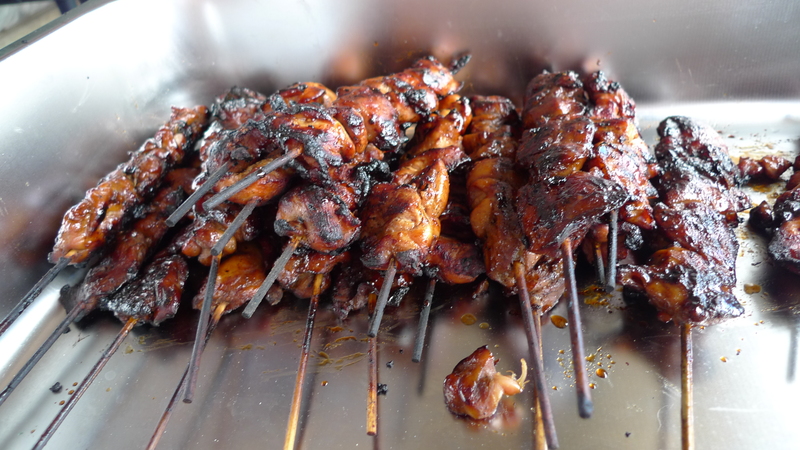 GMIF is also one of the best opportunities to sample some of the cuisine Guam is famous for such as Chamorro barbecue, red rice and chicken kelaguen. There are plenty of activities to keep the kids entertained like carabao rides (this is a great photo opportunity), a petting zoo with goats, piglets and other cute animals, zip line, rock climbing, arts and crafts and more. 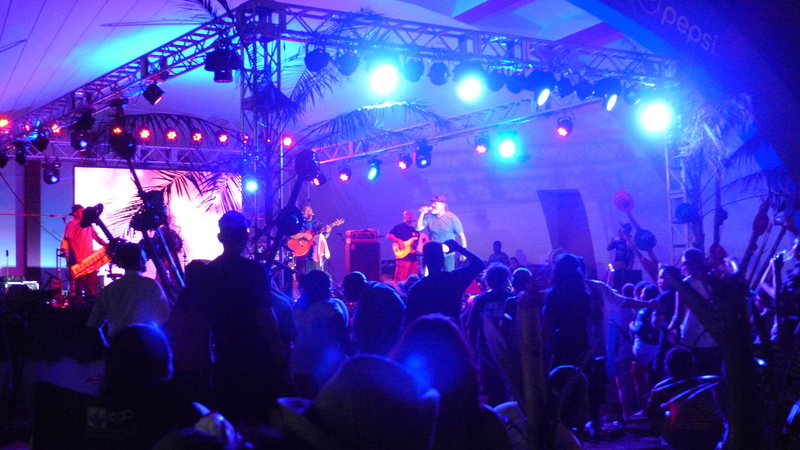 The 28th Guam Micronesia Island Fair drew a crowd of 30,000 people over the course of three days and featured over 100 vendors, dozens of dance groups and many musicians including Hawaiian reggae legends The Manao’ Company and Bruddah Waltah. This year&apos;s GMIF theme was "Bridging Past, Present and Future - the Journey to FESTPAC." FESTPAC is considered to be the Olympics of Pacific arts – it’s a huge celebration of cultural diversity that brings 27 island nations together for two weeks. Guam will be the host country for FESTPAC in the summer of 2016. The Guam Micronesia Island Fair is the island’s largest annual celebration that affords visitors an opportunity to learn and experience Chamorro culture, and giving them a greater understanding and appreciation of what makes Guam a unique destination. Ancient Chamorros were known to be skilled weavers and wood carvers. Today, the weaving and carving traditions live on as masters continue teaching the skills to apprentices over the generations. 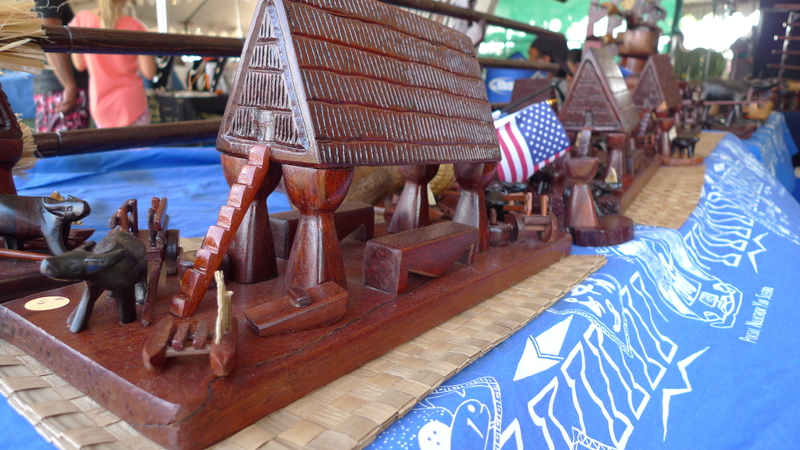 The Guam Micronesia Island Fair is one of the best opportunities for visitors to examine these fine handcrafted works of art and even purchase a unique, quality item to commemorate a visit to Guam. 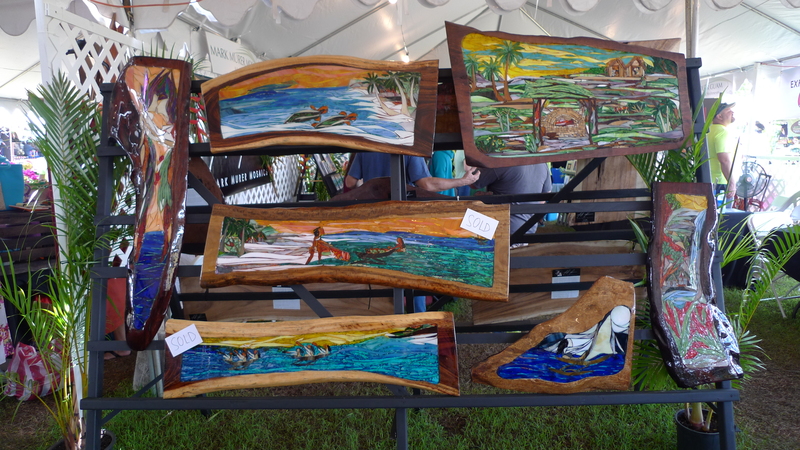 In addition to wood carvings and woven items, other unique Made in Guam products that can be found at GMIF include handmade jewelry, tools, fragrant soaps and candles, candy and tropical sweets, traditional and contemporary paintings, stained-glass mosaic art, keepsake boxes and more. The artist who created the item is often the person manning the table at the fair, which presents an excellent opportunity for a visitor to speak directly with the artist and learn the backstory. Whether you purchase a Made in Guam item at the Guam Micronesia Island Fair or elsewhere on island, be sure to look for the official Made in Guam product seal. This is a government-issued seal that certifies the authenticity of any product that claims to be made in Guam. Some products may appear to be from Guam but are actually imported from other countries. The Made in Guam seal ensures the item purchased is something that is unique and available only on Guam. 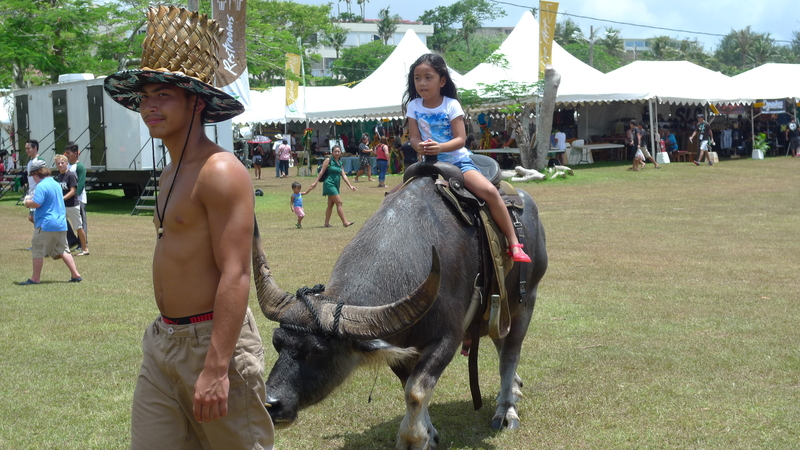 Carabao Rides – Guam might not have ponies but we have carabaos and they’re just as fun to ride. Petting Zoo – Kids can get up close and friendly with cute baby goats, chickens, piglets, turtles and more. Arts & Crafts – A number of craft-type activities and simple lessons are available for kids such as coloring, painting, soap making, weaving and more. Zip Line & Rock Climbing – Zip down the line side by side with your little one or cheer them on from the ground as they scale a 20-foot wall. Shave Ice – It might be called a snow cone where you’re from. On Guam, a fruity shave ice is a perfect treat to cool down from the island heat.